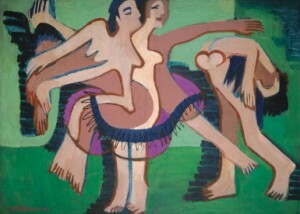 Ernst Ludwig Kirchner was born in Aschaffenburg on May 6, 1880. 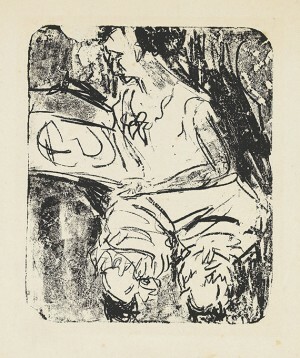 His family moves to Frankfurt in 1886, a year later to Perlen near Luzern and finally to Chemnitz in 1890, where Kirchner visits a secondary school. 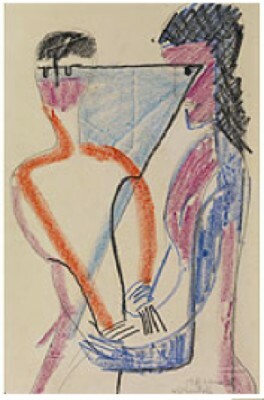 He studies architecture at he Dresden Technical University from 1901 to 1905, during his studies Kirchner goes to Munich for a semester to study at the Art Academy. 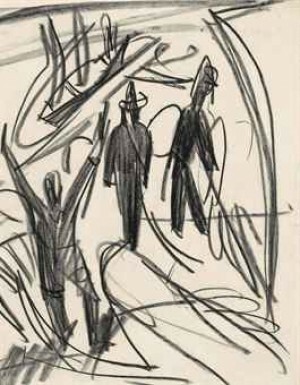 He explores the Dresden surroundings, for example the Moritzburg Lakes, with his fellow student and friend Fritz Bleyl as of 1904. 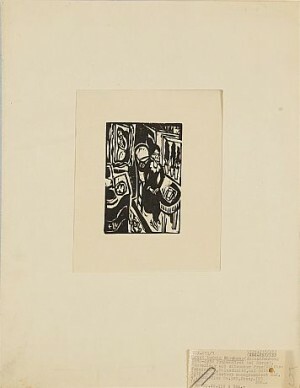 They meet Erich Heckel the same year and Karl Schmidt-Rottluff a year later. 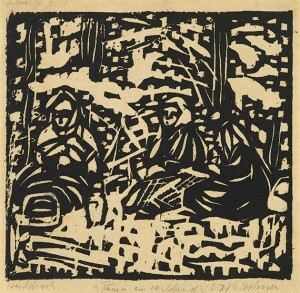 Having finished his architecture studies in 1905, Ernst Ludwig Kirchner, Fritz Bleyl, Erich Heckel and Karl Schmidt-Rottluff found the artist's group "Brücke" (Bridge). 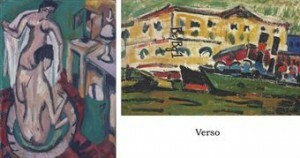 The first exhibition of "Brücke"-artists takes place in the art shop P.H. Beyer and son in Leipzig in November 1907. 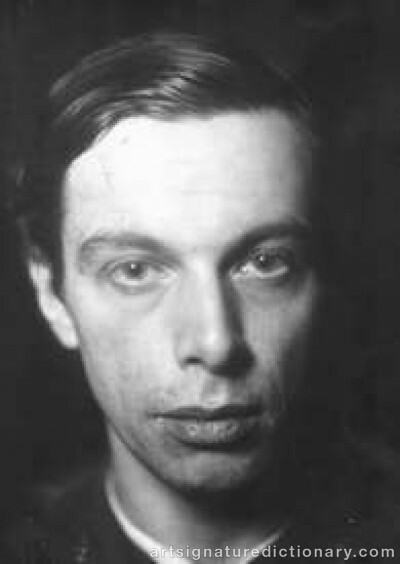 Kirchner joins the "Neuen Secession" (New Secession) in Berlin in 1910, and lives in Berlin from 1911 to 1917, following Heckel and Pechstein. 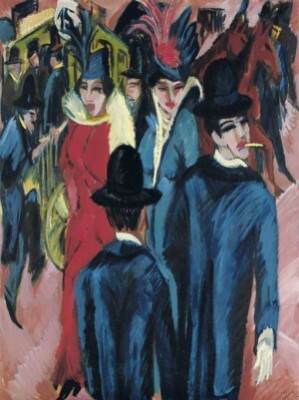 A lively artistic exchange of ideas takes place between "Brücke"-artist and members of the "Blaue Reiter" (Blue Rider) in Munich in 1912, exhibiting together in the gallery Hans Goltz. 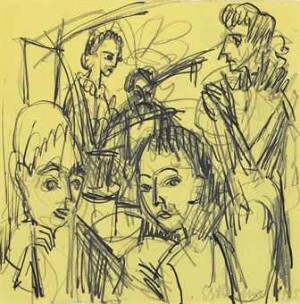 In 1913 Ernst Ludwig Kirchner writes the "Chronik der KG Brücke" (Chronicles of the Bridge artists group), the group, however, discontinues after dissensions in May the same year. 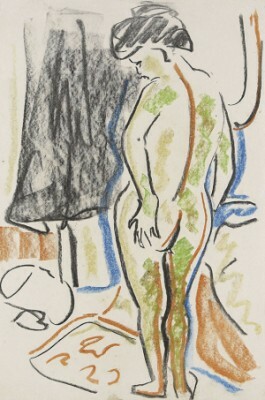 Kirchner's first one-man show takes place at the Folkwang-Museum in Hagen, others follow. 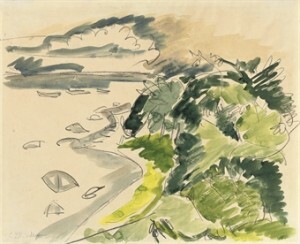 Kirchner on and off spends time on the island of Fehmarn, where he works and hosts other artists. City views of Berlin occupy a large part of the artist's work as of 1912. He volunteers for World War I in 1915. He suffers a mental and physical breakdown and goes to a sanatorium in Königstein for some time. He spends the following year in several sanatoria, but his health does not improve at all. 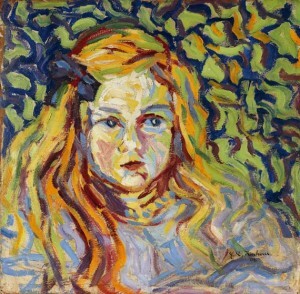 During this time, he mostly does landscapes and portraits. 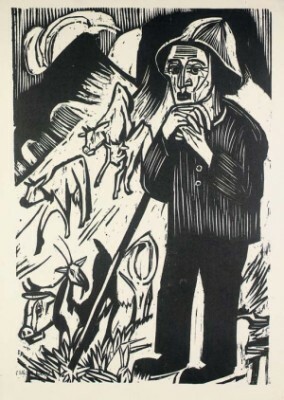 Ernst Ludwig Kirchner travels to Davos for the first time in 1917, but suddenly returns to Berlin and goes back again to the Rüesch lodge on the Stafelalp with a nurse that summer. He has to stay in the sanatorium in Kreuzlingen in September 1917, as he strongly suffers from paralysis and impaired consciousness. 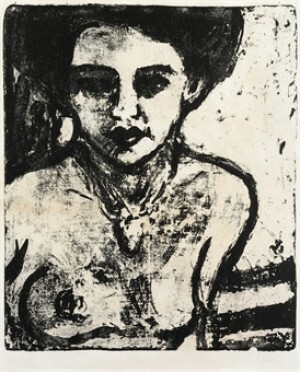 Despite his health, he works on prints and drawings. 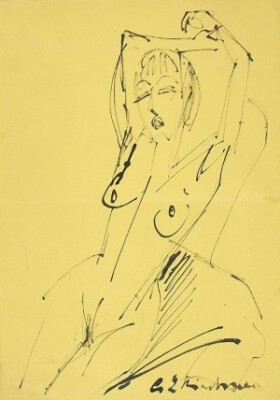 He lives in an own house in Davos as of September 1918, which he outfits with sculptures. He paints a number of pictures with mountain views, but also makes furniture and wooden sculptures. 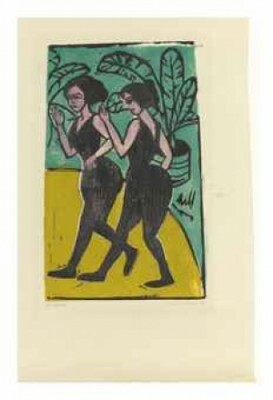 Kirchner writes the first article about his work in 1920, which he publishes under the pseudonym Louis de Marsalle. 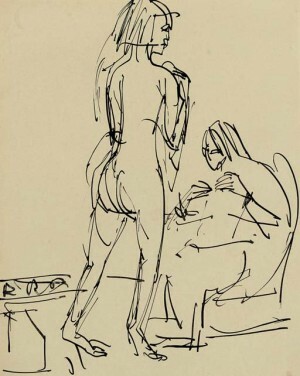 Despite his isolation, Kirchner stays in close contact with the art scene in Germany. 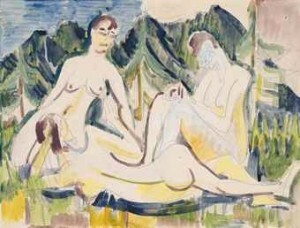 He moves to the Wildboden house in Davos-Frauenkirch in 1923. Kirchner skeptically observes the changing politically situation in Germany and its impact on cultural life, he feels unsafe, as he fears that the Germans may even invade Switzerland. 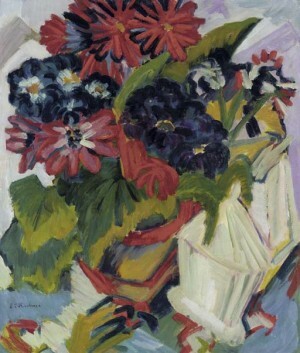 Ernst Ludwig Kirchner commits suicide in Davos on June 15, 1938.